Well pigs have started to fly and it’s a good thing because justice has finally prevailed for Irene Garza. 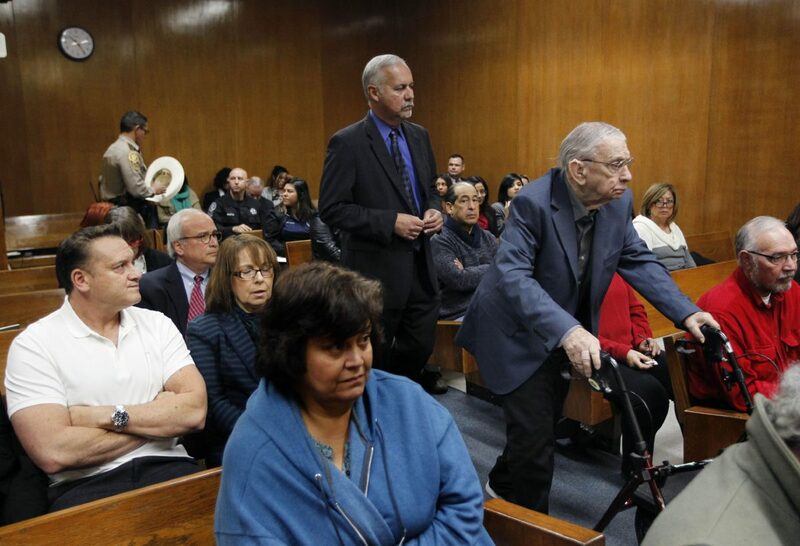 I feel for Mr. Garza, Irene’s father because it seems like the church, but mostly law enforcement turned their backs on him. It was more important to all of them, about how things would look if they prosecuted John Feit, instead of doing the right thing. Finally the correct thing was done. And yet, a previous district attorney wants to run for the position again. John Feit sits in the 92nd state District Court next to his defense lawyer O. Rene Flores during his trial for the murder of Irene Garza. 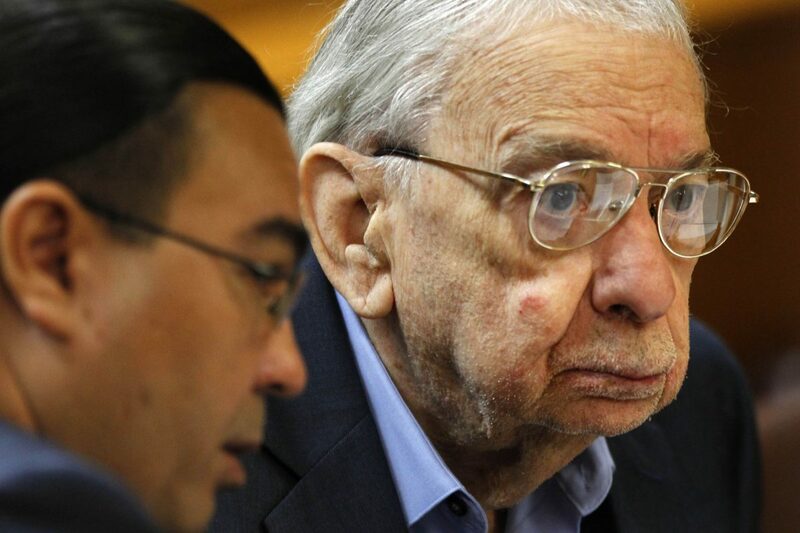 Feit was a Catholic priest at Sacred Heart Church in McAllen when he allegedly murdered Garza on Easter weekend 1960. He told law enforcement that he never knew her and didn't even know her name. Nick Cavazos, left, who was born after the death of his aunt, Irene Garza, glares at John Feit with his arms crossed during the trial. Although Cavazos never met his aunt, he was angry about the impact Garza's murder had on his family, especially his mother, Josephine Garza Cavazos, Irene's sister. 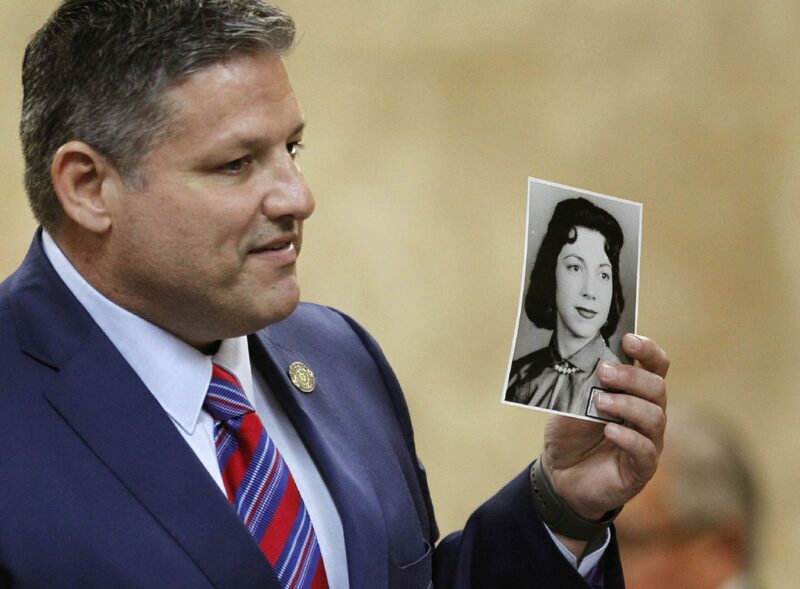 Michael Garza holds a photograph of Irene Garza while talking to the jury during Feit's trial. Garza said he kept a similar photograph of Irene in his shirt pocket for the duration of the trial against Feit. Garza attempted to portray Feit as "a wolf in priest's clothing," who preyed upon multiple women in the Valley until his path crossed Irene's. A number of words came to mind regarding former DA Guerra’s comments in The Monitor after the conviction of former priest Feit in the Irene Garza homicide: Pompous. Pretentious. Arrogant. Disconnected. Incompetent. Just a few. And now, after Hidalgo County suffered through Mr. Guerra’s tenure for as long as it did before his long overdue ouster, he is asking county voters to “Remember Rene Guerra,” as he once again seeks the office. Presumably, I guess, so that he can once again, ladle out his deluded grasp of the law. I, for one, do indeed remember. And I take his campaign battle cry as the joke his self-serving venture is intended. Good for a smirk come election day. Buried in The Monitor’s classified was a “Notice of Public Hearing for Drainage Utility Fee Ordinance and Resolution” from the City of McAllen. We must stop this madness that the city and county continue to try and impose on property owners. Imposing a new monthly fee as a “utility” fee is ridiculous and will lead them to continue to raise the fees and taxes upon us all at their will. Look how they calculate the fee and play the game. This must be put to a vote of the citizens, not imposed on us by tax-happy politicians! I urge all property owners to contact their commissioner and mayor to end this madness. Show up to the Jan. 8 hearing and tell them “No way!” They have artificially raised our property values, continue to add surcharges and fees and services to our properties and this must cease. These politicians repeatedly refuse to listen to “We the People.” Enough is enough. Don’t let them fool you with their sly words. They will say it’s necessary, yet had they properly managed the projects and funds already appropriated for drainage then we would not have a problem. The citizens of Houston are suing their city over this fee, alleging it fraud. Look at how many years behind Hidalgo County and city are already on drainage projects. Stop this madness. Mayor Jim Darling and city commissioners are out of control. We are being taxed to death, assessed to death, surcharged to death, and assumed naïve and stupid. Let’s ban together and show them again that we are not. They will continue to tax so we must continue to fight.